English indie rock band Blaenavon are based out of Hampshire. Blaenavon is composed of Ben Gregory, Frank Wright, Scott Roach and Harris McMillan. The band formed in 2013, and released their first album, That's Your Lot in 2017. The album reached number 54 on the UK Albums Chart. 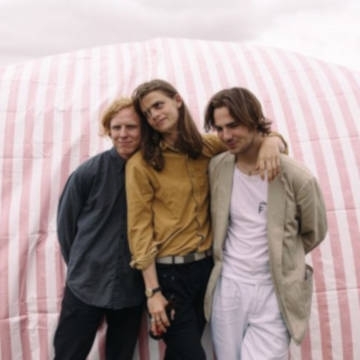 Blaenavon unveil ‘Catatonic Skinbag’, the first song from ‘Everything That Makes You Happy’ which has been produced by acclaimed Music Producers Guild Producer of the Year, Catherine Marks (Foals, St Vincent, Wolf Alice). ‘Direct lyricism meets surging guitars to create a song that not only shows Blaenavon’s musical evolution but also delivers a powerful message with a newfound sense of clarity, underlined as ever with singer Ben Gregory’s sharp wit.